Ultra SMS Script is SMS marketing software. It provides a powerful and complete text message and mobile marketing platform. With it, you can launch your very own profitable white label SMS marketing network or promote your own business/service using a very unique and feature rich SMS web-based script. This certificate provide signatures, encryption and timestamps associated with a official public notary deposit gives a proof of prior indisputable. Register my work now ! copyrightweb.com provides by this certificate a proof linking the author - depositor, the creative work and the certain date of its existence at this point in time. The depositor recognizes that the contents deposited are its exclusive intellectual property. 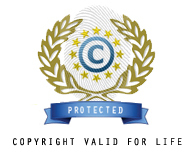 copyrightweb.com uses international protocols and international copyright conventions to ensure to creative works anteriority for Copyright protection against copy, counterfeiting or any right infringement. Copyright 2001-2019 copyrightweb.com. All rights reserved. - Sale terms - Legal Policy.